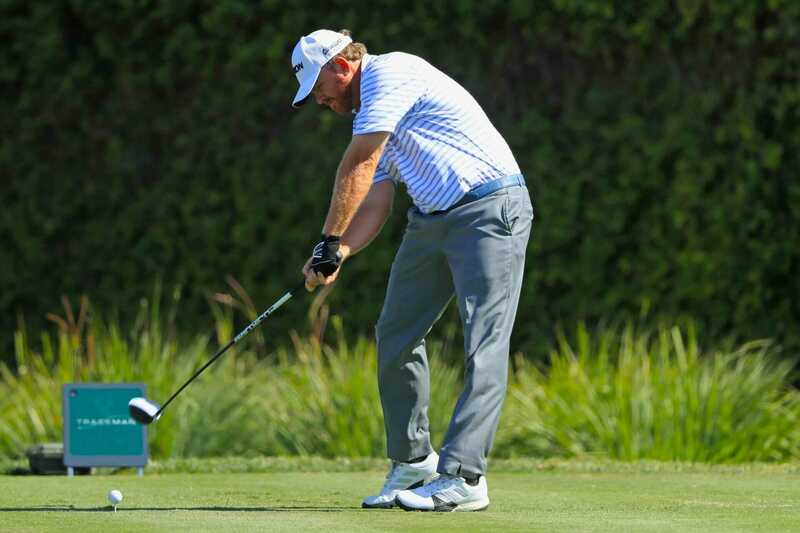 The bad news stories of this season keep on coming and it’s J.B. Holmes who’s the latest to paint golf in a bad light. It’s safe to say that the recent Genesis Open winner J.B. Holmes was less than popularly received. In fact, Holmes is just the latest in a lengthening list of sub-savoury winners on both major tours since the turn of the year. Back in early January, on moving day in the Sony Hawaiian Open, former PGA Tour pro Steve Flesch dropped a major hint on twitter that Matt Kuchar had basically shafted his local caddy following a major windfall in capturing the Mayakoba Classic some months previous. Though Kuchar was quick to dismiss it as “not a story,” his good guy image had been shattered in the eyes of many. Fast-forward 24 hours, and Kuchar’s victory parade up Waialae Country Club’s 18thwas muted to say the least. Since then, we’ve seen Bryson DeChambeau’s Dubai Desert Classic win accompanied by a European Tour video outlining his “process” while blatantly ignoring the slow play warning that should’ve followed, and simultaneously, the penalising of Haotong Li for what was a minor infraction at best and a gross injustice at worst. Justin Rose prevailed at Torrey Pines before hopping on a plane to Saudi Arabia with the “I’m a golfer, not a politician” line ringing in our ears. It would’ve been a lot easier to swallow had he admitted that he was lining his pockets and didn’t give a ****. Dustin Johnson was another whose morals came at a price, so to see the big North Carolina man add top prize money to his already hefty appearance fee galled somewhat, however – and maybe this is unfair to the others who flew to Saudi with wheelbarrow in tow – it somehow seems easier to give DJ a pass. From Kentucky, Holmes slow, southern drawl is accompanied by a playing style to match. Though he’s always been slow; J.B.’s pace of play taking centre stage when needing more than four minutes to play his second shot on the final hole of 2018’s Farmers’ Insurance Open. In the last pairing with Alex Noren, and needing an eagle-three to have any chance of winning, Holmes deliberated for an age before opting to lay up. Noren, having waited patiently for Holmes to play, then flew his second shot over the green and failed to get up and down for a winning birdie, and would ultimately lose out to Jason Day in a playoff. To say with certainty that Holmes’ delay was the cause of Noren’s loss is a stretch at best, but it certainly didn’t help the Swede. At Riviera on Sunday last, and in the final group once more, again Holmes’ snail pace was the centre of attention, most notably when taking well over a minute to hit a putt when he already had plenty of time to assess the situation as Adam Scott and Justin Thomas – the other two players in the group – chipped and putted before him. Speaking afterwards, Holmes defended his pace of play, claiming that he is never put on the clock or even gets a warning. And therein lies the problem. Those tasked with enforcing the rules are failing to do so. 14-year-old Tianlang Guan was assessed a single-stroke penalty for slow play during the 2013 Masters as the men in green looked to prove they were above sentiment. Unfortunately, that is the only recorded slow-play penalty ever handed down at Augusta. In April 2017, the PGA Tour handed out its first slow-play violation in more than 20 years, as Miguel Angle Carballo and Brian Campbell (playing as a partnership in the Zurich Classic) became the first players since Glen “All” Day in 1995 to fall foul of the official stopwatch. But penalising a kid yet to take his first shave and two players you couldn’t pick out of a police line-up is not going to change anything. Last week, Adam Scott called for a sacrificial lamb – a high-profile one – even offering himself to the altar in the hope that six-hour rounds would be consigned to the history books. It’s time the major tours made an example of someone. Heaven knows, there’s no shortage of candidates.